Paintball mask with clear goggles. Fully adjustable head and chin strap. Weight with visor fitted ~ 375 grams. The X-Ray® Premiere paintball goggle system comes complete with visor, hypo-allergenic foam and a high quality adjustable strap. 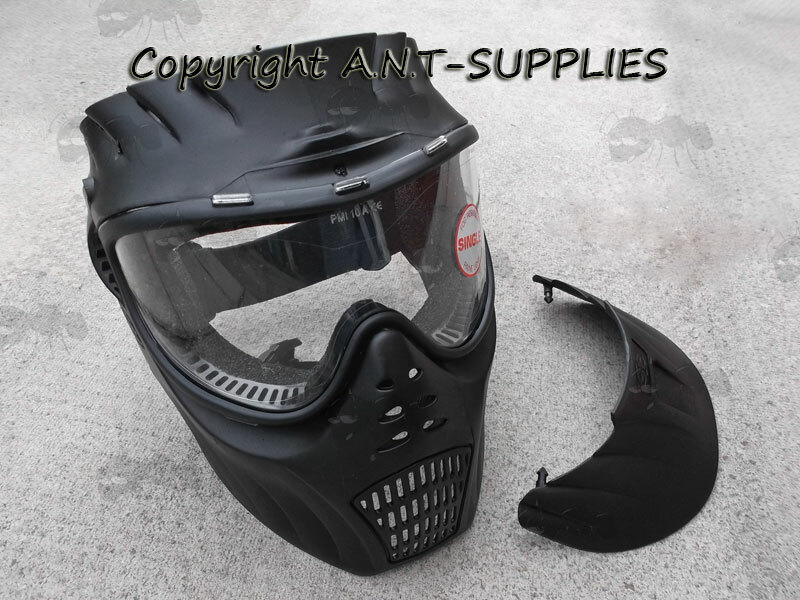 As used by many thousands of paintball skirmishers throughout the UK. 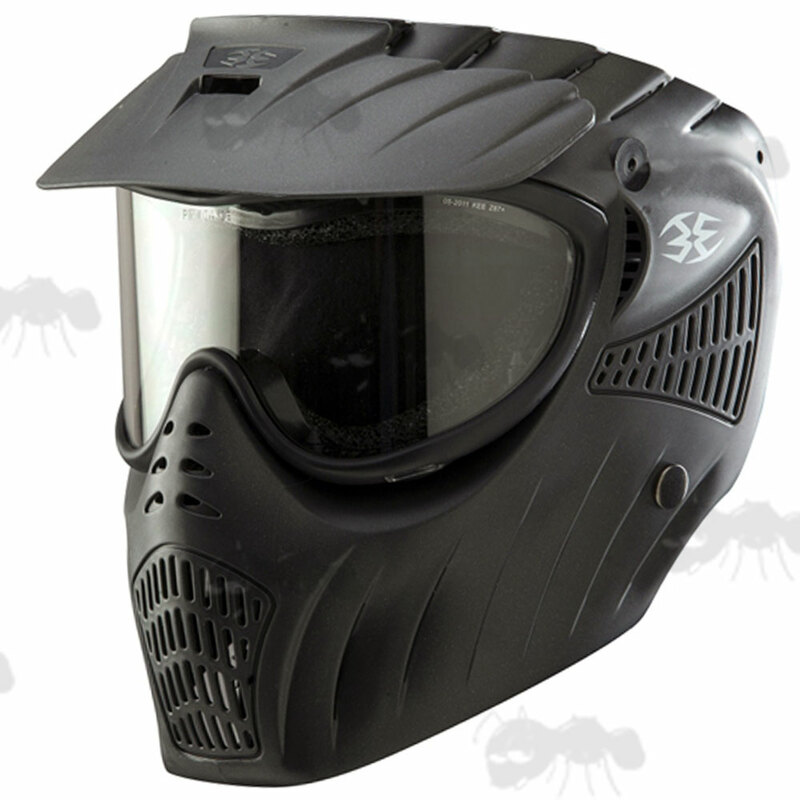 Louvered vents help draw warm air out of the paintball mask interior. Fog resistant lens for clear vision during play. Removable peak for play in low light conditions. Adjustable head strap and chin strap. If you see this message, it means that your browser doesn't support iframes or they are disabled. You can access the information shown in this frame here: Paintball Product Scroller.